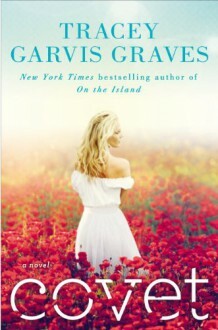 Tracey Garvis Graves, the New York Times bestselling author of On the Island, returns. What if the life you wanted, and the woman you fell in love with, belonged to someone else? Chris and Claire Canton's marriage is on life support. Downsized during the recession and out of work for a year, Chris copes by retreating to a dark place where no one can reach him, not even Claire. When he's offered a position that will keep him away from home four nights a week, he dismisses Claire's concern that time apart could be the one thing their fragile union can't weather. Their suburban life may look idyllic on the outside, but Claire has never felt so disconnected from Chris, or so lonely. Local police officer Daniel Rush used to have it all, but now he goes home to an empty house every night. He pulls Claire over during a routine traffic stop, and they run into each other again at the 4th of July parade. When Claire is hired to do some graphic design work for the police department, her friendship with Daniel grows, and soon they're spending hours together. Claire loves the way Daniel makes her feel, and the way his face lights up when she walks into the room. Daniel knows that Claire's marital status means their relationship will never be anything other than platonic. But it doesn't take long before Claire and Daniel are in way over their heads, and skating close to the line that Claire has sworn she'll never cross. http://mybookjournal.booklikes.com mybookjournal 4.0 Slow but beautiful enough! text Slow but beautiful enough!